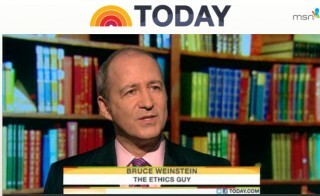 Dr. Weinstein believes that the key to success is having not just emotional intelligence but ethical intelligence, too. He blogs for the Huffington Post and has written extensively for Bloomberg Businessweek Online. One of the greatest pleasures of running my own business is being able to cultivate a client base of real human beings who earn my confidence simply by being who they are, and who allow me to be part of bringing their good work into the world. Longridge Editors LLC supported Dr. Weinstein’s research for his forthcoming book, The Good Ones: Ten Crucial Qualities of High-Character Employees (New World Library, April 14, 2015). We hope you’ll check it out and put it on pre-order! We have the inside perspective on this unique resource for understanding what truly makes an outstanding employee and why, and we think you will want to have this book in your personal library for sure. Whether you are the person hiring, or the person desiring long-term employment, this book is an important read. We loved working with The Education Alliance , West Virginia’s premier statewide, nonprofit research and K-12 public education fund. Longridge Editors LLC developed a simple series of questions for all interview candidates, responses to which highlight the positive impact of SEEDS and the Frontline Network on their respective communities. We spent the summer gathering information directly from the projects’ key players, and wrote vivid profiles of each. Working with The Education Alliance was a pleasure, and one of the greatest rewards was connecting with the passion and commitment of West Virginia’s public education professionals. These are very busy, hardworking people, and too often we hear about them instead of directly from them. Dr. Cole serves on the faculty of Austin Presbyterian Theological Seminary in Austin, TX. He is academic dean and is appointed to the Nancy Taylor Williamson Distinguished Chair of Pastoral Care. Longridge Editors LLC proposed, constructed, and helps maintain Dr. Cole’s first Facebook page for one of his books, A Spiritual Life: Perspectives from Poets, Prophets and Preachers. 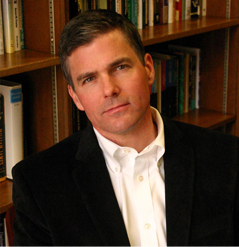 Via the page, Dr. Cole not only helps the publisher market his book, but builds upon his already strong relationships with colleagues and associates in the academic and publishing worlds. He is able to connect to and support favorite pages of other writers, publishers, and institutions. This particular book is a collection of essays with multiple contributing writers, so the potential social media collaborations are abundant! The page allows readers to select an official page for the book as one of their own personal profile choices in the favorite books category. Increasingly, writers need to find new media methods for delivering access to their work online. Dr. Cole was so pleased with the results of his book page that Longridge Editors LLC was given the privilege of creating an author page to support all of Dr. Cole’s books.